Stunning emerald anniversary ring has 4/5 carat emeralds, and 2/5 ct diamonds. 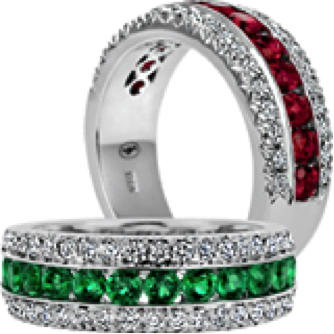 The Ruby ring sports 1 and 1/10 carats rubies. Gemstones are set in a channel style with pave diamonds. 18K white gold.